Dung beetles. The little critters that roll the excrement of others into a ball and push it around. Somehow, this is awesome, and they are properly admired. They can be about an inch and a half, or as small as a millimeter. Picture mini-beetles making adorable, bedazzle beads of bowels. Poop is a very competitive market. Not only is it their food and water, but their young’s food as well. Adults lay eggs inside a buried dungball so when the dungitos hatch and pupate they’ll have a stockpile waiting. There are 6000 species of dung beetle, on all continents but Antarctica. How to keep track of which species is which? Luckily, they’re packed into three convenient, ziplock bag categories: tunnellers, rollers, and dwellers. Tunnellers find the mudpie, dig a tunnel directly underneath it, and drag some of that fine pooppourri with them. Rollers find the mudpie, roll it into a ball, and then make a bee(tle)line away from the pile, pushing the ball with their back feet, to bury it elsewhere. Dwellers are like F that, and just set up shop right in the pile. Spherical enthusiasm is not a roller’s only interesting feature. It’s how they get their sense of direction that is the really impressive part. See, after a male finds a steaming pile of rhino roca and sculpts it into a ball, he has to get it away as fast as possible before lazy, freeloader dung beetles move in and steal his hard earned Atlas impression, forcing him to start all over and lose the girl. A straight line away from the dung pile is the fastest way to escape, but how it is that they know what straight is and don’t accidentally curve right back around to the pile? Dung Beetles See the Light – But From What? Well, first scientists discovered that they have special photoreceptors in their eyes that make them able to see a symmetrical pattern of polarized light around the sun (something we, being less cool, can’t see), and go off of that. This is common in insects. But what about at night? Well, the moon. Right? To find out more, Marie Dacke and Eric Warrent took a team of scientists and went to South Africa to study them, but to their astonishment, when there was no moon in the sky, the beetles were unaffected. They didn’t need no stinkin moon. What does that leave? Stars?! Sure, humans and seals and birds use the stars, but insects? Never before have insects been known to use stars for navigation. Baffled, the scientists built a giant table with dung in the middle, and a dry moat all around it to catch the dung beetles as they Myth of Sisyphused their way off the table. Also, there were walls to rule out the use of terrestrial landmarks. The dung beetles performed normally. Then, according to National Geographic, “the team put little cardboard hats on the study beetles’ heads, blocking their view of the sky.” Mandatory moment of meditation. Indeed, with the cereal box skies being all black, the dung beetles flailed in their direction, going every which way. Can YOU see the sky with a box over your head?? A-holes. Now keep in mind, this is science, so you can’t just go around putting hats on beetles without a control group. It becomes necessary to also put clear hats on a few, to show that it was not simply the act of wearing a hat that totally freaked them out and Death Starred all their dung-maneuvering hopes. But, though doubtless humiliated, the now clear-visored Dig Dougs were still straight shooters, unaffected by the headgear. (The photos are amazing, but way copyrights. See dung beetle hats here). Hmm, looks like stars must be it. But stars aren’t really that bright, in fact the brightest thing in the night sky is the Milky Way Galaxy. Only one thing to do. 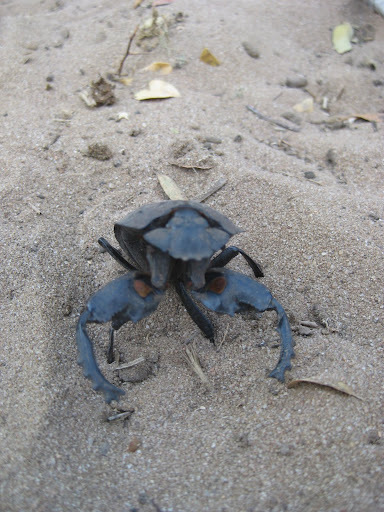 The scientists gathered up some dung beetles, and brought them to the Johannesburg planetarium. 1) Take said dung beetles to the local planetarium. The scientists set up their little diorama of dung in the now worst smelling planetarium ever, and programmed the ceiling to take away all the stars except those in the Milky Way galaxy. Straight lines all around. 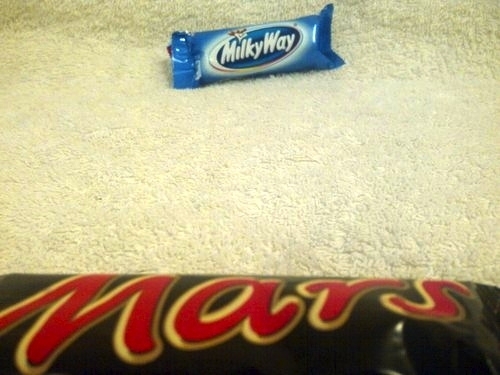 There you have it – the first animal we know of that travels by Milky Way light. Scientists think this could be more common, that moths too may possess the same skill.